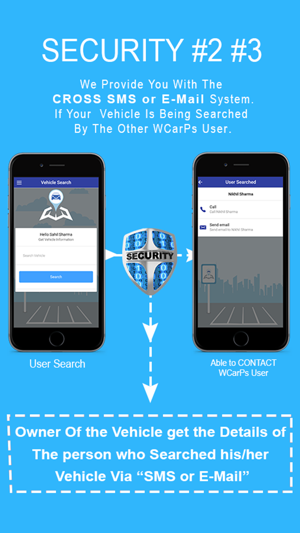 WCarPs Is a Vehicle Identifier & Theft Solution App. This will resolve the Wrong Vehicle Parking issues and at the Same Time Help Secure Your Vehicles. It Provides the Name and an Encrypted Number of the Wrongly Parked Vehicle Owner by Entering His Vehicle No. Or Chassis No. You Can call him With This Encrypted numbers. SMS and Email Will Be sent to him automatically. 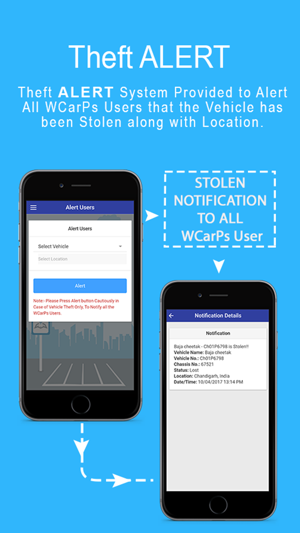 It Provided to Alert, All WCarPs Users About The Vehicle Theft along with The Location. 2) Personal ID Verification Security. 3) SMS Notification On Search Security. 4) Email Notification On Search Security. 5) Call Encryption and Mask Security. 6) Real Location Of The Searching User Security. 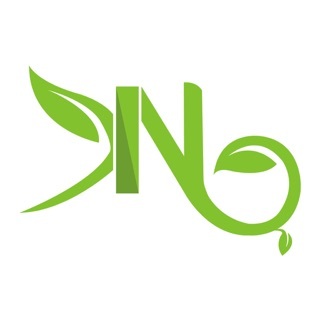 After the compilation of signup process, you will receive an OTP (One time password) to verify the contact no. given by you. After the signup process, User has to scan QR Code of Aadhaar card for the first time Only to avoid fake registration. If Any WCarPs user is searching your vehicle, you will receive an SMS with the detail of searching user. 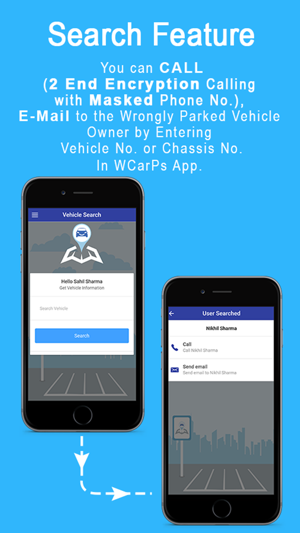 If Any WCarPs user is searching your vehicle, you will receive an E-Mail with the detail of searching user. Now as you press a call button you will initially receive the Fully Encrypted and Masked call from WCarPs server on your mobile first, and when you accept this call from your end it will automatically go to the wrongly parked vehicle owner, in this Process Your Personal Number Will not Be Visible, instead our companies no. will be visible at both the ends. 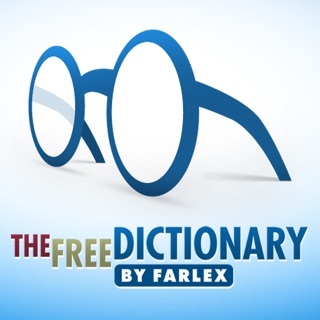 In the cross email & SMS, you will also receive the current location of the searching user. If Your Vehicle Is Stolen & Your Mobile Is Left In The Vehicle You Can Still Fire The Alert Through Our WCarPs Website. A copy of Your AADHAAR Card. As Your Xerox (Photostat) Copy QR-CODE Will Not Be Scanned By Our WCarPs App. 2). Maintain Minimum Distance of 5 cm Or More while Scanning your AADHAAR Card Or Adjust Accordingly. Manager - Now Allow Your Camera To Scan Qr Code. 4). In Case You Have Xerox (Photostat) Copy of Your AADHAAR Card Do not Worry. 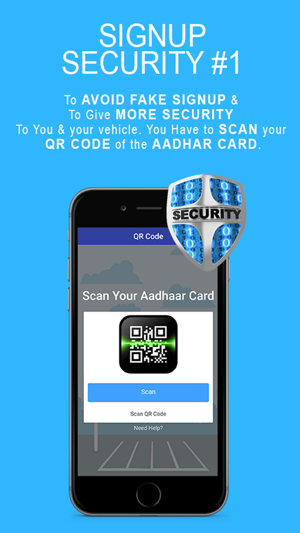 Download Your Original Aadhaar Card And Scan QR-Code.